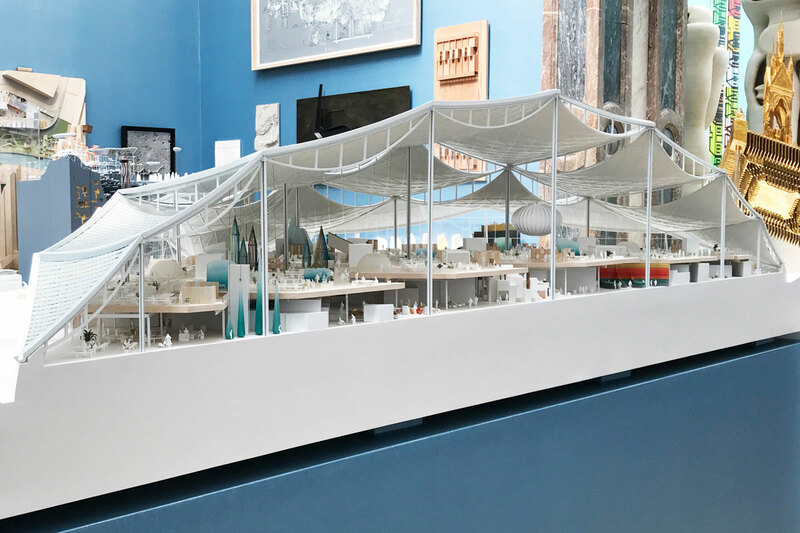 A 1:100 sectional model of Google Bay View in California, designed with BIG, is featured in this year’s Royal Academy of Arts Summer Exhibition. The 2018 exhibition coincides with the RA’s 250th anniversary and the model is on display to the public in the Architecture Room from today until 19 August. The Architecture Room was curated this year by Piers Gough RA and features three-dimensional models at a variety of scales. In celebration of the anniversary, a new architecture display features a full-size silicone formliner from the studio, alongside work from other Royal Academicians. The object was used to add texture to the concrete walls of Learning Hub, an educational building in Singapore.